Will Self is one of the most important British novelists of his generation, and he is as acclaimed in the UK for his outstanding, daring journalism as he is for his fiction. 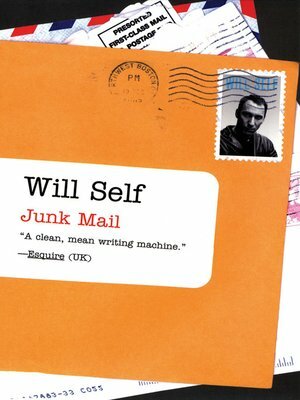 Now finally available in America, Junk Mail is an original selection of pieces from Self's nonfiction and journalism that will introduce American readers to Self as a literary journalist par excellence. Animated by the scathing brilliance and unflinching determination to walk the road less traveled, Junk Mail is an often irreverent trawl through a landscape of drugs, culture, art, literature, and current events  topics Self illuminates with a keen and entirely original eye. We follow Self into the operation of an upstanding crack dealer, behind the myth of the "pragmatist" approach to drug legalization on the streets of Amsterdam, and to lunch with Indian author Salman Rushdie. Whether he is writing about bad boy British artist Damien Hirst, how literary renegade William Burroughs has changed our outlook on art and intoxication, or what the current state of transsexuality has to say about gender for all of us, this is a lively and necessary anthology from one of the defining voices of our times.